The internet is vast and accessible to people all around the world, speaking multiple languages. Imagine having a WordPress website of your own, now we believe you would want everyone to see the content there and love it. But, what if your content is written in English language and you want someone who only speaks Spanish to enjoy the site as much as an English reader? This is where hreflang tag comes in. If you are an owner of a multilingual site, you want your audience to see the content in the language they speak and these tags allow the same. What is the use of hreflang Tags? Hreflang tags are a great SEO tool. These tags help search engines to distinguish between multiple pages with the similar content but in different languages. It helps search engines to identify which language is to be used and when, on the basis of the browsing preferences and information of the user. All this happens with the help of a language and region code. These tags are extremely useful as there are over 60 different languages used onWordPress. 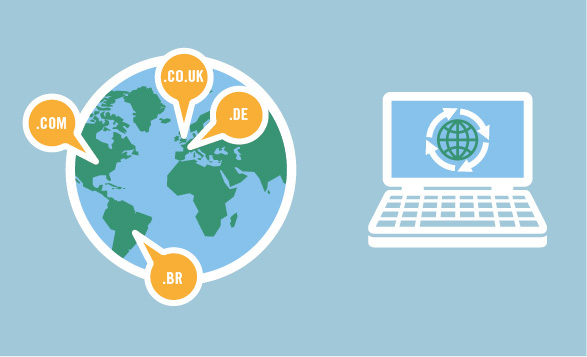 When you cater to a larger audience speaking multiple languages, you want them to have maximum convenience on your website. Adding hreflang tag makes your website more relevant to your audience and allows you to minimize the bounce rate on your website. And, reduced bounce rate increases your website’s relevance score, leading to a higher ranking. Another reason to implement these tags is that these eradicate the problem of duplicate content. When you have similar content in multiple languages over different URLs, the difference in content may be so minute that Google mistakes it as duplicate content. Without the tag, Google may never realise what you are trying to do and the same will reduce the ranking of your page. It recognises whether your content is relevant or not, then it makes the decision to rank your URL. It checks the preferences of the user and then offer the most relevant version of your URL. The users language preferences and location determine the result shown by google. There are multiple ways you can add the tag to your website, some of these include coding while others use plugins. You can use whatever looks better for you. If you are a programmer or have some basic knowledge of coding, you can use that. If that is not an option, you need not worry because WordPress provides plugins that you can use when you have no knowledge of coding. All these methods include the use of hreflang attribute. This attribute is a code while specifies the region as well as the language that needs to be shown for the particular region. HTTP headers are majorly used for PDFs on your website or non-html content which is not directly shown by the search engines but needs to be optimized according to your audience. This methods involves adding additional code elements to the <head> section. 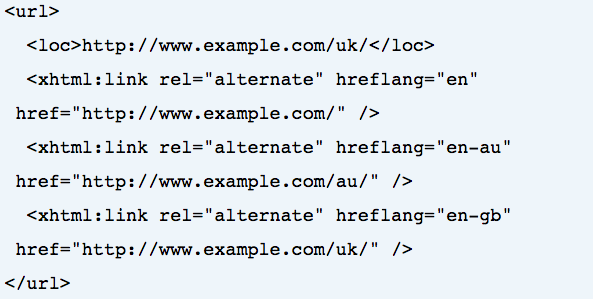 If you want to implement hreflang tags for the entire website, XML sitemaps work that way. This method uses xhtml:link attribute to add annotation to every URL on the website. Now comes the easy part. We understand that not everyone is a programmer or knows even the basic coding. For people out there who are not a programmer, don’t worry you can also add the tag to your website without having to learn programming or consult a programmer. You can do the same with the help of some basic plugins. TheWordPress community is accessible to almost anyone, henceWordPress comes out with plugins that you can just install and these will perform all the hard-work for you. You can use the following plugins to implement the hreflang tag on yourWordPress website without any hassle or stress. If you can never see yourself performing a code but if you still want to add hreflang tag to your website, Polylang is your best bet. The plugin is extremely easy and free and can be used to make your website multilingual. Go to the plugins are of WordPress on the left side of the screen. You can then add a new plugin from here by clicking on the “Add New” plugin option on the top left area of the screen. In the search area type polylang. This will bring up the most relevant plugins to your screen. From this screen, you can find the plugin you have searched for, once you see the plugin click on the “Install Now” button to activate the plugin. Once you have activated the plugin, you can go back to the left side admin panel and click on the Language option. From here you can add the information necessary for the plugin to function. This will include the languages your website uses, their codes and other necessary information. On the language screen, you must also select the specific language information. WordPress saves this information and search engines will use them accordingly! You can also set one of these languages as your default language. You can now go to any of yourWordPress pages and you will be able to see the language option on the right-hand side. Polylang is not the only plugin you can use, but it the one we recommend. WPML – which is a premium WordPress plugin. hreflang Tags Lite – which supports all the languages available on WordPress. Multilanguage – which is similar to Polylang but does not have the auto-translate feature. Once you have successfully implemented the tag, it is also necessary to check whether it is successfully working. For the same, you must open your website in a new tab, visit the page you have added languages to and check its source code. Once you are on the source code of the website, press Control+F or Command+F and find the hreflang tag there. Hey Jane, thanks for sharing a very informative article about using hreflang Tags. I’m satisfied with your post, This post will be very helpful for any beginners.